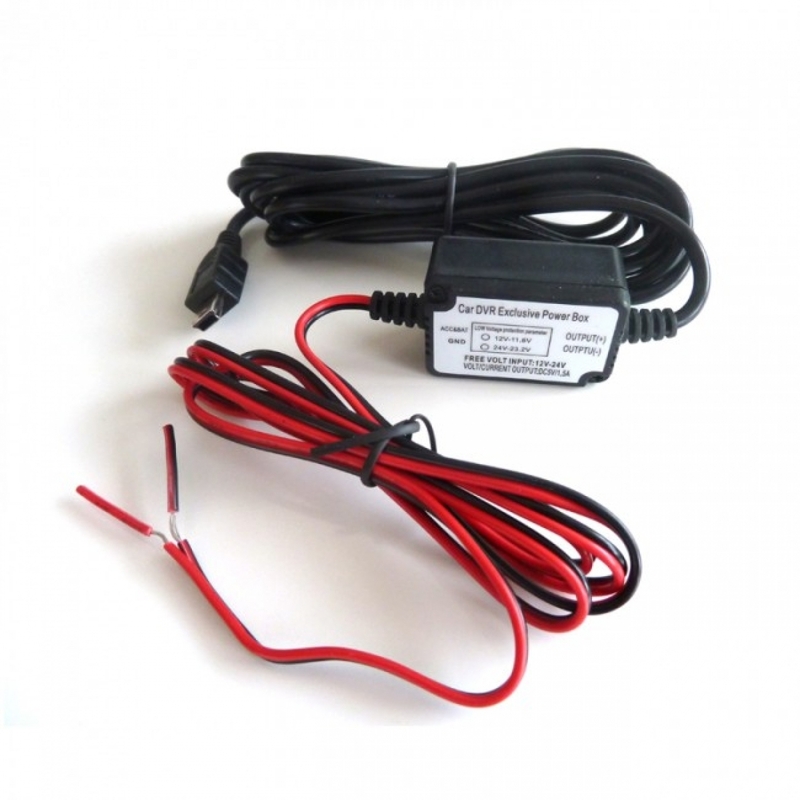 This hardwire kit has battery discharge prevention by automatically turning the camera power off when the battery voltage drops to 11.6v or 23.2V for 24V battery, thus preventing the battery from running flat. The hardwire kit is approximately 3 Meters in length in total. The cable running from the component box to the camera end USB connector is approximately 2 Meters in length. The 2 electrical wires running from the other end of the box are approximately 1 Meters in length. 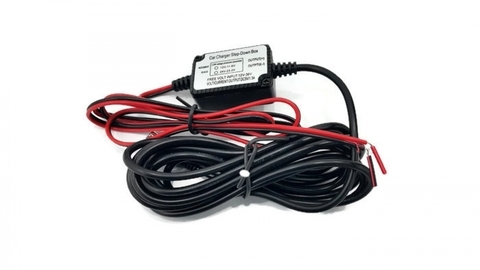 The Red wire should be connected/tap/soldered to any wire in your vehicle that runs on ACC current or +ve battery. While the Black wire should connect to Ground(GND). Compatible with Mini 0801, A118, A118C, B40, B40A, G1W, G1W-C, G1W-CB, G1WH, GT680W, RX270, DS3/5/6W, G50, AT300, AT500, AT550, AT700, AT800, GS8000L, K6000 and many more. For A118C and B40A, we highly recommend this product to you if you wish to install this 2 dashcam as your rear recording dashcam. Other then the above mentioned dashcam models that we assured will work, we cannot guarantee that this hardwire kit will work with all makes and models of car camera. Please consult your dashcam seller to verify. Please refer to the below picture to verify the Mini USB male port type from your original dashcam power cable. 1. Hardwiring a camera is done at your own risk and we cannot be held responsible for any installation costs or additional costs that may be incurred after a fault or failure of camera, mount, hardwire kit, or car electrics. 2. We recommend that all components are tested thoroughly before installation. We strongly recommend that you hire a fully qualified, insured, and experienced auto-electrician to install the hardwire kit for you.